Cell and Gene Therapy Catapult is supporting researchers commercialise their innovations and increase the flow of new technologies feeding the UK industry. This initiative allows dissemination of expertise and knowledge in commercial translation to speed up the adoption of technologies emerging from UK research. 80 advanced therapy researchers met today at The University of Edinburgh MRC Centre for Regenerative Medicine for the third in a series of seminar events held across the UK by Cell and Gene Therapy Catapult (CGT Catapult). Building on the UK’s position at the leading edge of scientific research and higher education, this initiative aims to increase the flow of innovation, ultimately progressing these new life-changing therapies and supporting technologies to clinical trial and commercial supply. Previous seminar events have been held at Queen’s University Belfast and the University of Nottingham. The UK has a strong position in the global cell and gene therapy industry, with over 70 cell and gene therapy companies operating in the UK and a healthy pipeline of 85 clinical trials and 875 preclinical research projects. Across the UK a high level and quality of research activity can be seen, especially in areas like Edinburgh, Nottingham and Belfast. By supporting these early-stage researchers, CGT Catapult is helping to accelerate commercialisation, fuelling the UK advanced therapies pipeline of life-transforming medicines and helping deliver on the UK Industrial Strategy goal of translating research excellence into business opportunities. 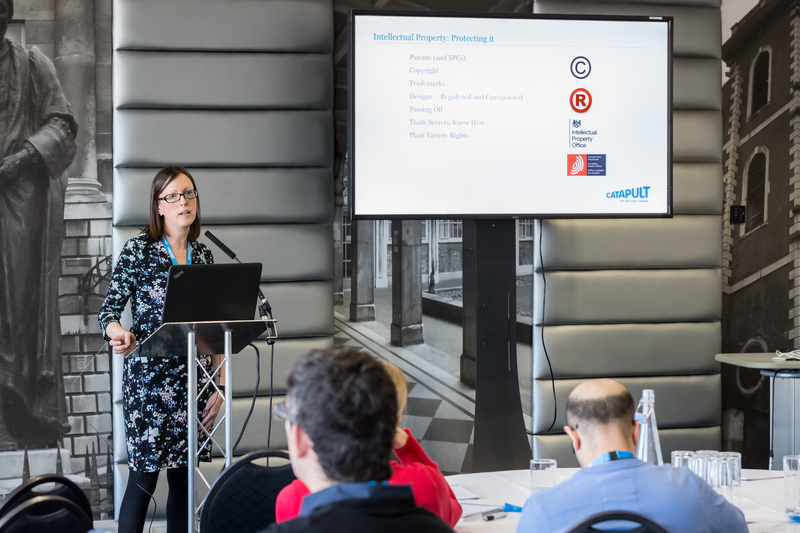 A number of CGT Catapult subject matter experts are attending today's seminar event including Dr Jodie Albutt, Head of Intellectual Property. These seminars allow researchers to benefit from expertise in key components of the pathway to commercialisation, including intellectual property, regulation, health economics and market access and process scaling and manufacturing. In addition to the exchange of knowledge, researchers are also able to receive 1-2-1 feedback on their projects from CGT Catapult subject matter experts. Commercialisation of research is a strategic priority for CGT Catapult and this initiative is part of a wider engagement plan with the academic, spin-out and investor communities to keep supporting strong research, transfer technology to the private sector and build new companies.